The weather can play a vital role in the decision of exhibiting animals in a zoo. Here are some key factors to think of when planning your day at the Cameron Park Zoo. If the temperature with the wind chill factor is below certain temperatures it will affect whether an animal is placed on exhibit or not. The carnivores: lions, jaguars, bears, etc., and elephants, rhinos, deer, and most birds will not be seen on exhibit if the temperature and wind chill factor is below 33 degrees. The large hoof stock: giraffe and kudu, and the primates: orangutan, lemur, gibbon, and squirrel monkeys, and infant animals will not be seen on exhibit if the temperature and wind chill factor is below 41 degrees. The gerenuk that share the same exhibit as the giraffe and kudu will not be seen on exhibit until the temperature with the wind chill factored has reached 55 degrees. Heat can also affect which animals are on exhibit. When the heat index reaches 100 degrees many animals will be given access to their night house in order to escape the heat. Baby animals, elderly animals, or animals with health issues will either be secured in their night houses or have access to their night house. We must also take into account the wind and the force it may bring with it. If the winds are blowing at a pace of 0-19 miles per hour, they generally do not play a factor in the exhibiting of animals. But, once they reach the range of 20-29 miles per hour, there is a possibility of some birds not being allowed on exhibit or returned to the security of their buildings prior to the end of the day. If the winds are to occur at a force in excess of 30 miles per hour, you will not see the birds that are in open exhibits: marabou stork, turkey, flamingo and crowned crane, on exhibit. If the wind continues to climb, and damage to trees and structures becomes a possibility, we will also keep other animals inside or bring them in early for their safety. In the response to heavy thunder, we will bring in animals with a low tolerance to loud and sudden noises. These will include animals such as the giraffe, gibbons, and elephants. With lightning, we will hold the animals inside until the lightning storm has passed. If the animals are on exhibit when the storm arrives, we will begin bringing animals into the building for their safety, starting with the low tolerance animals first and working towards securing the entire collection. If the storm passes during this period, we will continue to monitor the weather, leave those animals on exhibit that are currently on exhibit, and make a management decision on whether any animals secured may return to exhibit. 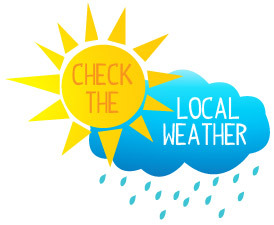 In the case of heavy or chilling rain, we will follow the temperature and wind chill factors, monitor for possible flooding, and do our best to exhibit the animals that are possible. Heavy or chilling rain can keep small animals, birds, primates, and some hoofed animals inside for their safety and health. And finally, if hail, a tornado, or any other form of violent weather activity are to occur or be predicted, we would respond in kind by keeping all animals inside or bringing animals back inside for their safety. Thank you, and we hope this helps you plan your visit to Cameron Park Zoo. 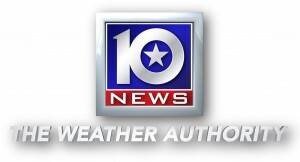 Check out Waco’s current weather conditions by clicking on a link to one of our local TV stations.